On December 9, AKB48 will release their new single “Kuchibiru ni Be My Baby.” It will be released in 9 editions: 4 CD+DVD Limited Editions, 4 CD+DVD Regular Editions, and a CD only Theater Edition. “Kuchibiru ni Be My Baby” will be the last single to feature founding member Minami Takahashi. She announced her intention to graduate this December in December of last year. Her graduation concert will be held on March 26 and 27 at a venue that has yet to be determined. She will then graduate from AKB48 on March 28 at the group’s theater. 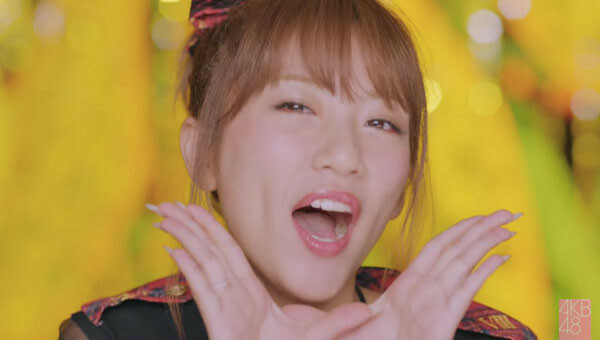 AKB48 recently released the short music video for “Kuchibiru ni Be My Baby.” The video has the theme of passing the torch, since Minami Takahashi is leaving the group. It was directed by Takahashi Eiki, who has shot many AKB48 videos and documentaries in the past. The video features scenes shot at Sunosaki Lighthouse, which AKB48 previously featured in the music video for their major label debut single “Aitakatta” in 2006. Check out the video, along with more information on the single, after the jump! 5. 唇にBe My Baby (Kuchibiru ni Be My Baby) off vocal ver. 6. 365日の紙飛行機 (365 Nichi no Kamihikouki) off vocal ver. 7. 君を君を君を… (Kimi wo Kimi wo Kimi wo…) off vocal ver. 8. やさしい place (Yasashii place) off vocal ver. 7. マドンナの選択 (Madonna no Sentaku) off vocal ver. 8. お姉さんの独り言 (Oneesan no Hitorigoto) off vocal ver. 7. あまのじゃくバッタ (Amanojaku Batta) off vocal ver. 8. 金の羽根を持つ人よ (Kin no Hane wo Motsu Hito yo) off vocal ver. 7. 背中言葉 (Senaka Kotoba) off vocal ver. 8. なんか、ちょっと、急に… (Nanka, Chotto, Kyuu ni…) off vocal ver. 4. 唇にBe My Baby (Kuchibiru ni Be My Baby) off vocal ver. 5. 365日の紙飛行機 (365 Nichi no Kamihikouki) off vocal ver. 6. さっきまではアイスティー (Sakki Made wa Ice Tea) off vocal ver.